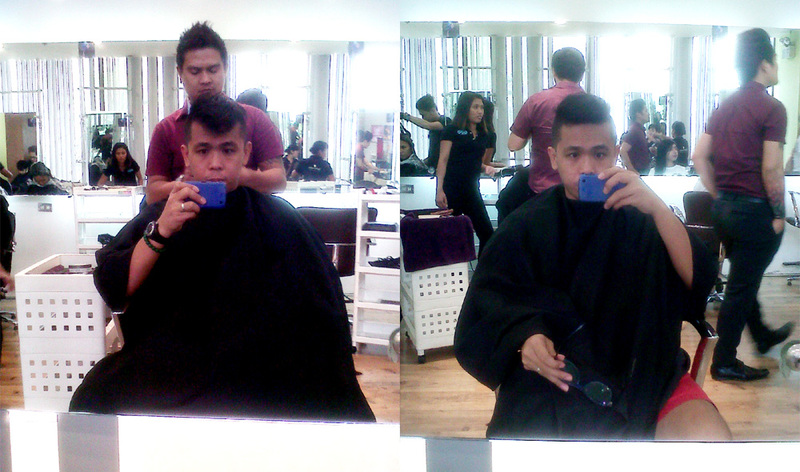 The last haircut in the salon I had was before the year changed to 2013. 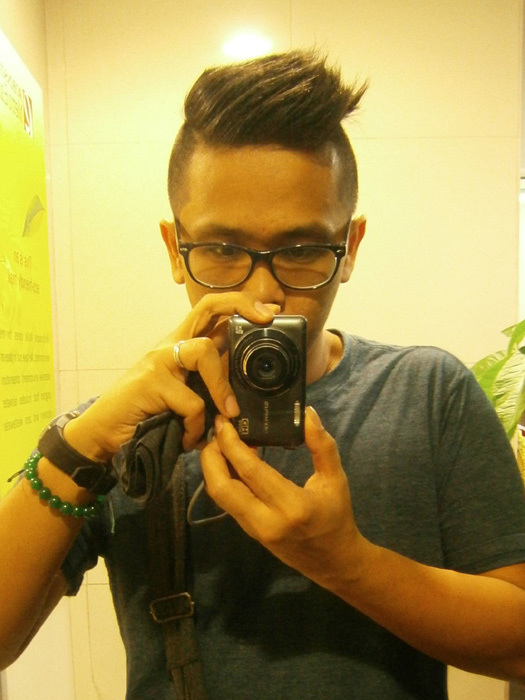 From that time until last week, I just go to the barbershop to have the sides shaved again. Of course, the top part will eventually grow out extremely long that my hair just begins to have a life of its own. I had no plans of having it cut today, but as I started feeling uncomfortable, I had to do something. I think that I’m also beginning to take a leaf from my mother’s book. When she goes out, she makes sure that she’ll do A LOT of tasks in a single day to make getting out more fruitful. That was also what I did today. 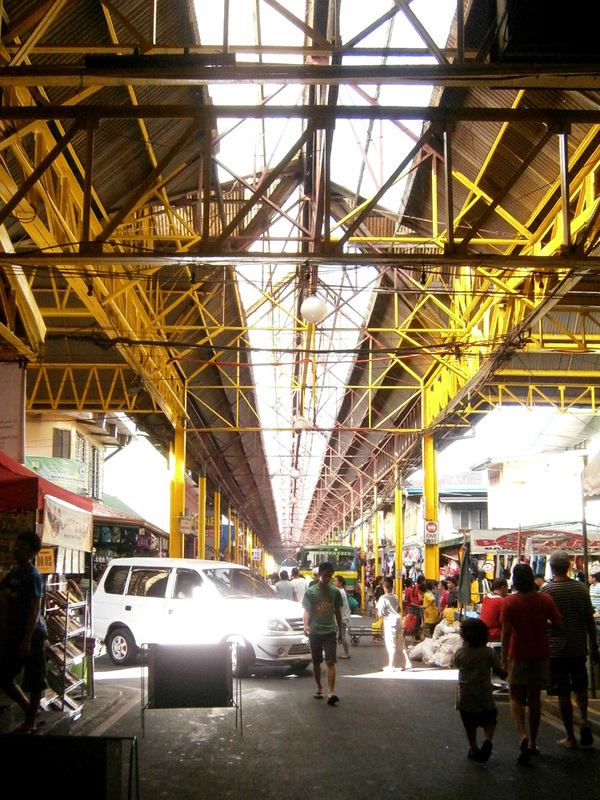 After getting a haircut, I went to the Marikina City Public Market to buy some fabric. 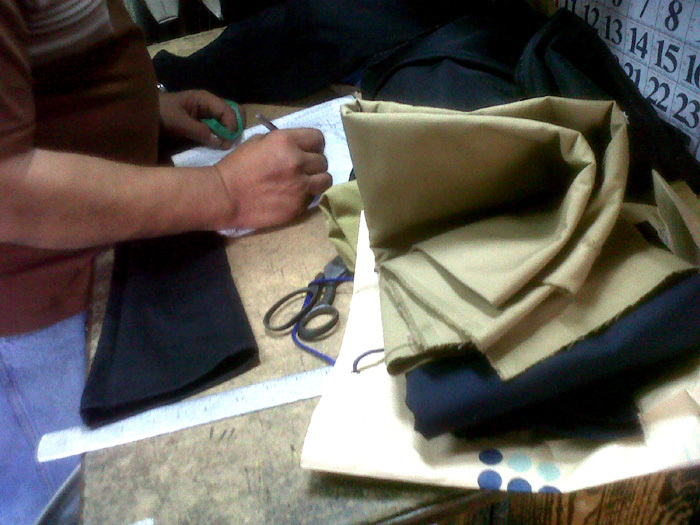 I’ve been wanting to have two more pants made from the same tailor who did the two black pants I use for work. I wanted a pair of darker khaki pants (from the one I already have) and another pair or navy blue ones. I think I can use my other pair of shoes, other than the black 8-hole Doc Martens and Red Wing boots if I have these two pair of pants with me. I have no idea of particular fabric names, so I just wore a pair of khaki shorts made from the fabric I hoped to find. 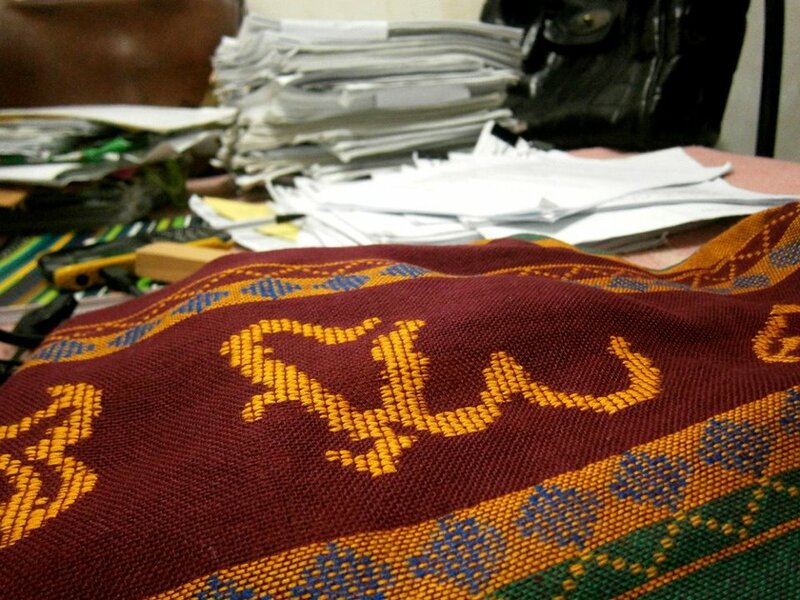 In the section selling dry goods, I went to the second floor and approached right away the first stall selling fabric. I asked if they have a fabric in khaki, similar to the shorts I was wearing but they told me that they did not have oxford. So it was news to me that I was looking for an oxford fabric. They only have cotton twill so I left looking for this oxford fabric in another stall. I think most stalls were having their siesta because there was a long row of stalls with no people looking after their merchandise. Then at the far end, I approached another stall and asked for oxford fabric. The old lady responded they have none, so I asked if they have a fabric similar to the one I have, holding out the hem of my shorts. To my surprise, she loudly exclaimed “Eh cotton twill naman ‘to eh!” , so I mentioned that the other stall said otherwise. She then retorted “Ang boba nila kamo!”, which left be gobsmacked. O_O Anyway, I ended up buying a yard and quarter for both khaki and navy blue fabric and immediately left for the tailor. Arriving at the tailor’s shop, he immediately recognized me and asked if I have my fabric with me. I got them out of the paper bag and I told him that he can pattern it after another pair of pants he made for me a year ago, which I also brought with me. I was told that I will be getting the two pairs next Sunday. I paid half of the total price and hoping that he’d nail the pants again. I only trust Mang Joel when it comes to my tailoring needs. I seldom buy from the mall, unless the fabric is exceptional, but for everyday needs, I just have them tailor-made. My legs are quite big and I’m not exactly tall so mall-distributed pants eventually end up being altered. The best thing about this, I spend less having them made than buying them in the mall. 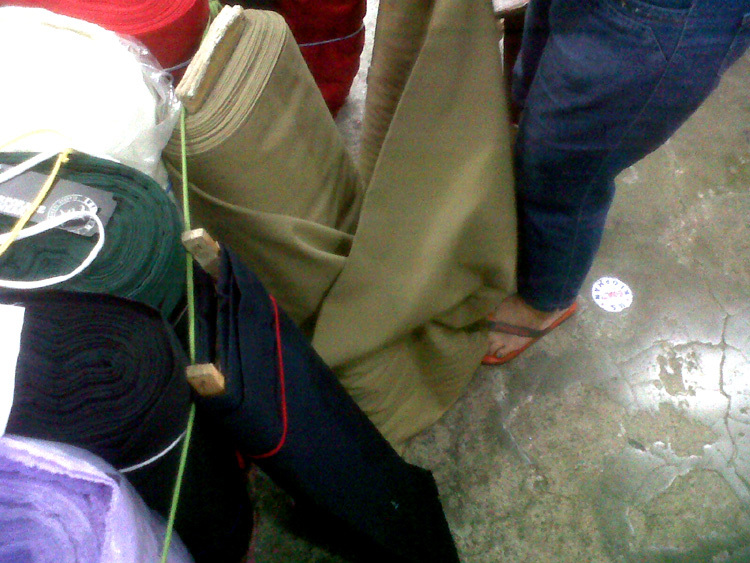 For example, the fabric I bought earlier costs Php 190/yard and I always need a yard and quarter for a pair of pants. 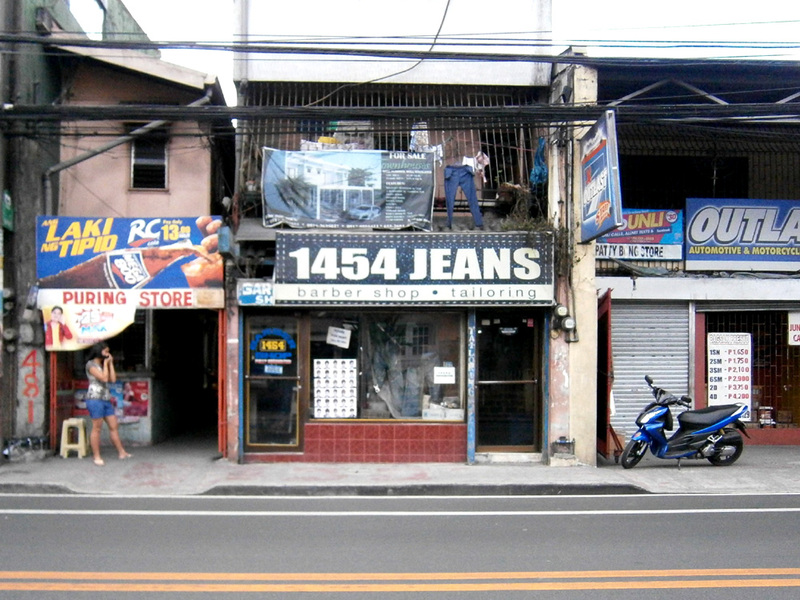 So for Php 237.50 (fabric) and Php 400 fee for the tailor, I just shelled out Php 637.50. I highly doubt I can find the same price on the mall, which usually needs alteration of the length and that costs me around Php 100. 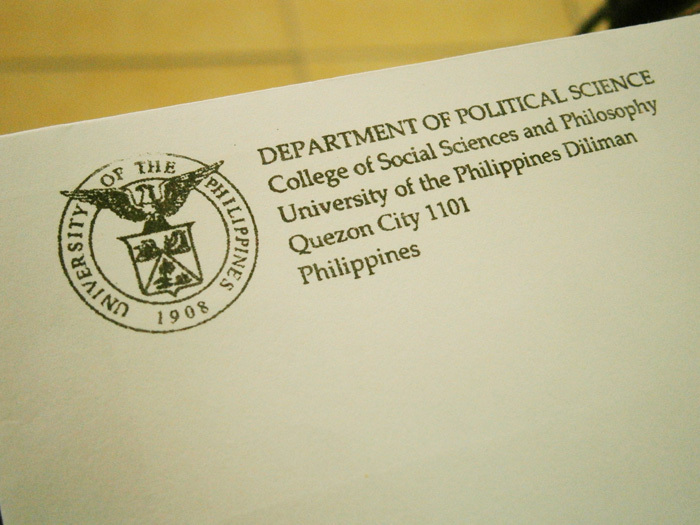 On another note, I just found out that Mon’s father has permitted Lot to pursue her studies in UPLB! I’m so delighted and I can only imagine how happy Mon and Lot were upon getting this confirmation. There’s no more need to fight our way through for reconsideration! Congratulations, Lot, for being a fellow Iskolar ng Bayan! 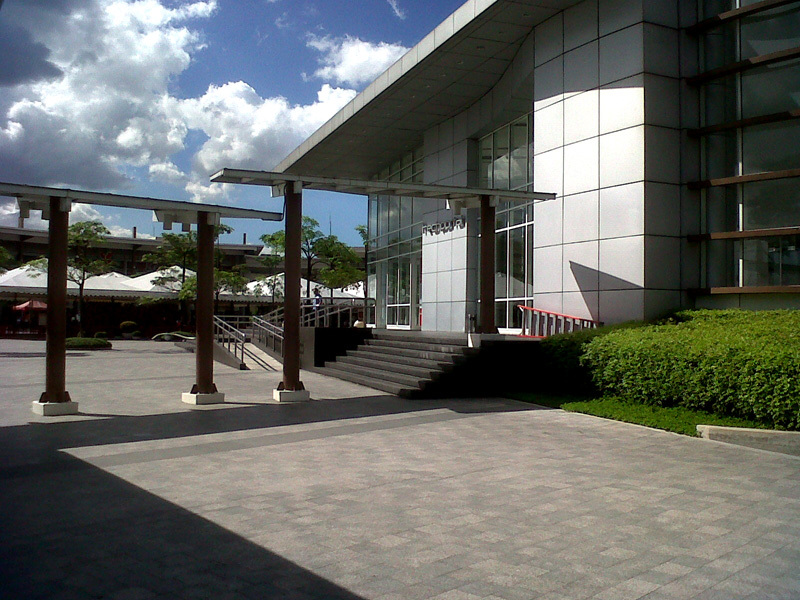 Welcome to the University of the Philippines and I hope you’ll have a great time being an Iska! And before I forget, tomorrow will be the first day of comprehensive examinations for the second semester takers! It seems only yesterday when I was also faced with same daunting task to finish graduate school. I’m sincerely hopeful that my classmates and friends taking the first part (of three) will have a calm mind and not panic with the time and pressure of answering correctly (not to mention, ballpens breaking down or hands shaking from hours of writing). I will be going to UP tomorrow to wait for them to finish and give some moral support, and hopefully those who listened to me and actually sought my advice will help others as well in the happy event that they pass. Pay it forward, guys. =) In bocca al lupo! I can’t help but just be amazed over how fast time went by. 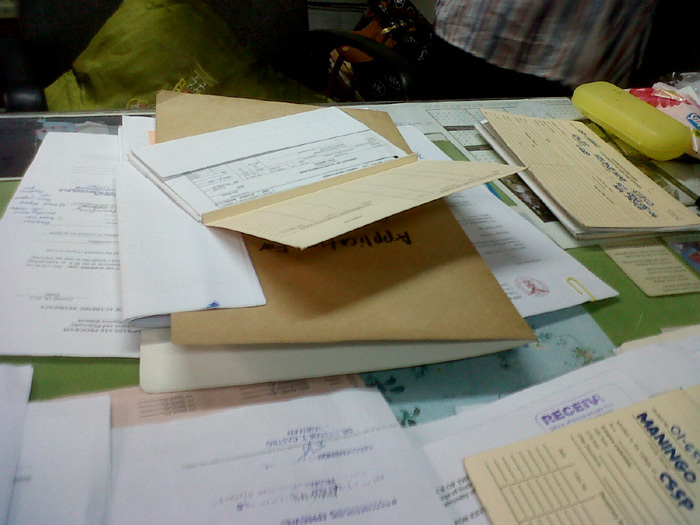 It seems only yesterday when I was trying to complete the requirements to apply for graduate school. The program only has first semester admission, that I even enrolled 3 units of non-degree in the preceding second semester because I was really very impatient to go back to school. 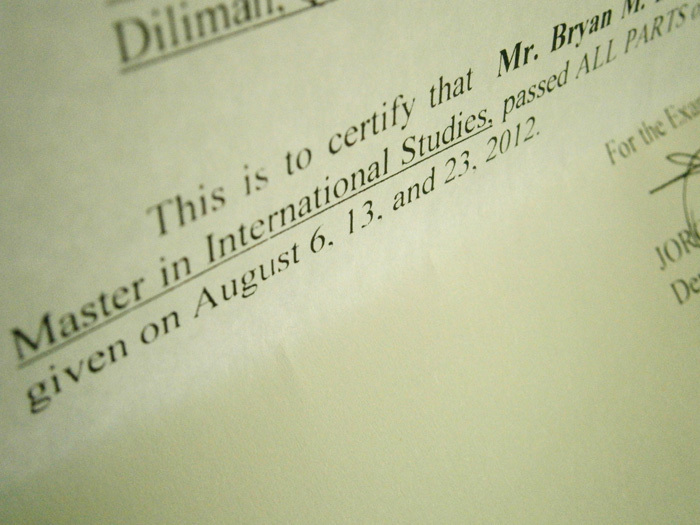 I even took a picture of the admission letter when I got it on May 11, 2009. But a year after starting, I was already at the point of breaking down. The level of stress was something I did not anticipate, especially as I’m also working full-time. When I was still in undergrad, everything seemed to go on quite smoothly because I had a very strong support group. In graduate school, on the other hand, we were virtually left to fend for ourselves and bonds among classmates were admittedly not that strong. I also had to literally brave the waters as I experienced two calamities within the same period that I started and ended my studies. Back in September 26, 2009, I had to leave the house even if it was already raining non-stop becayse I was the last person to report in our last day of my first semester in graduate school. I need not elaborate on how devastating that day was because it almost swept my whole family away. O_O Then in August 7, 2012, exactly a day after I took the first part of my comprehensive exams, the heavy rains of the southwest monsoon brought another bout of flood in our area. I think I could have been more inspired with the exams had I read about it early on. 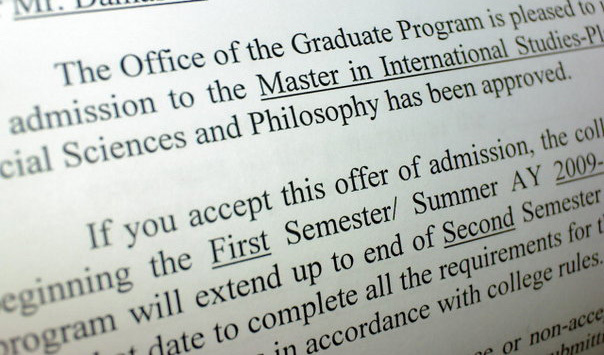 =D Anyway, it isn’t too late because I could start searching for my own Ithaca now. Fight!